← Link education with career. Make yourself employable. 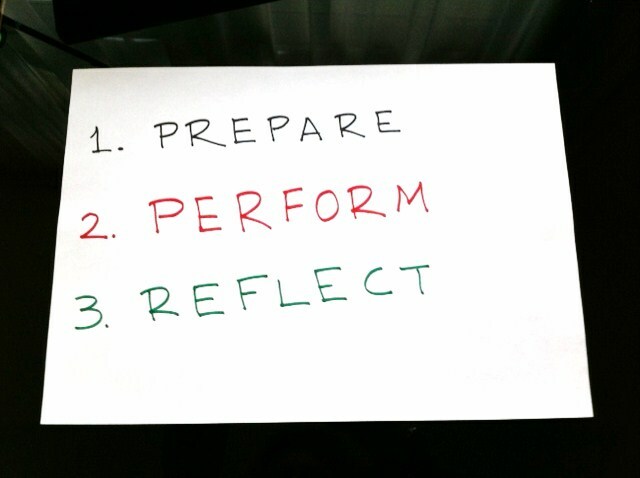 The best way to increase the possibility of a successful outcome of interviews is to be prepared. Find out from the university website what the structure of the interview is. Speak to students from previous years, if possible. There is a lot of information online. If you need to do a test, practise beforehand. Re-read your application (especially the personal statement) and any written work you have submitted. Get copies with you. Think of possible questions (e.g. why did you apply to this course?) and write down a couple of bullet points for each. Rehearse, rehearse and rehearse. This practice will help you to formulate clear and concise answers. Prepare a few questions to ask the interviewer. If you can find the answer at their website, it’s probably not a good one. Have a mock interview with a teacher/mentor. Do it in a professional and serious way. Read what’s hot around your chosen subject. Some logistics: Dress smartly, arrive early and familiarize yourself with the environment. Switch off your mobile. Get a bottle of water with you as well. Stress can lead to a dry mouth. Relax and be yourself. Don’t try to pretend to be somebody you are not. Be enthusiastic. The interviewer wants to find out how motivated you are. Watch your body language. Sit up straight and lean slightly forward. Establish eye contact (but don’t stare) and smile occasionally. Expect anything. Most of the times the interviewer wants to push you to think on your feet. Stay calm and focused. Take your time to answer the questions. If there is anything you don’t understand, ask for clarification. Explain your thought process. In most cases, there are no right or wrong answers. The interviewer wants to understand how you respond to new ideas. Think out loud. If you get a direction, listen carefully and respond positively. Don’t give up. Remain calm, even if you feel that it’s not going well. You may be surprised by the end result. Don’t start celebrating, if it went well or crying, if it didn’t. Remember that your interview starts from the minute you arrive in the campus and finishes when you leave it. Behave appropriately all the time. Think what you’ve learned from the process. What worked well and what you need to do differently next time. Don’t spend your time thinking whether you will be accepted or not. No need to waste your brain power on hypothetical arguments. When you get an offer, you can think about this. If the university had asked you to interview for another subject, think carefully whether this is the career you are looking for. Universities will do what is best for them (fill the place they have with the best candidates possible) and you need to do what is best for you. Also, remember interviews are a two-way process. They evaluate your suitability with the course. You also need to assess whether you want to invest a few years of your life with them. So, take advantage of the opportunity of being there and speak to other students, teachers, career office staff. Also, explore the campus, go to the city, get a feel of how it is to live there. When the time comes for you to make the decision, you will have all the information needed. It seems like a long list of things to do. The best analogy is to think yourself as an athlete. Success will depend on your performance on the day. You increase your chances significantly though, if you get prepared. Follow the tips above and you will be ready to go! This entry was posted in b4iapply to college, b4iapply to uni, Career Advice, Higher Education, Interviews and tagged Cambridge University Interviews, interview, Oxbridge interviews, Oxford University Interviews, tips for interviews, university interviews. Bookmark the permalink.